• 1 event = $1 (25 UAH). • 2-5 events = $2 (50 UAH). • 6 and more events = $4 (100 UAH). The base registration fee for this competition is $1 (United States Dollar). You are viewing the schedule for the venue Conference Hall of SoftServe Business Centre. 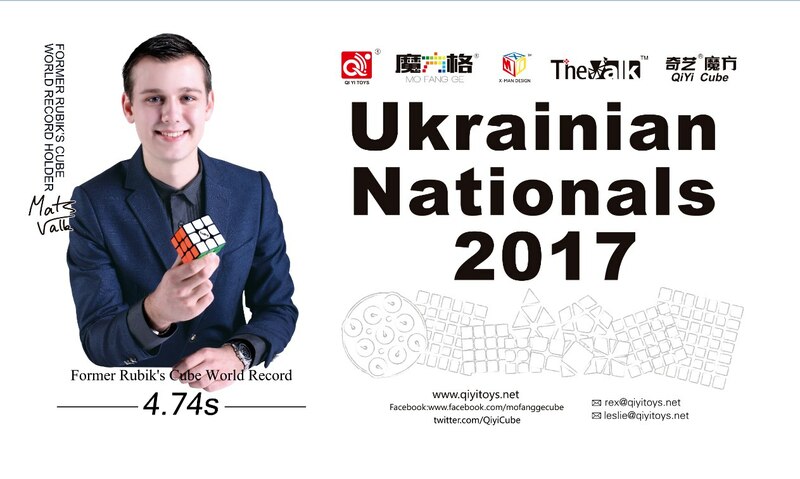 Perfect cubes and huge support from sponsor of our brand competition QiYi MoFangGe. The brand QiYi MoFangGe makes every effort to ensure that the competition takes place at the highest level! !